Whenever you think of renovating your existing décor, furnishing your new home or just spicing up the whole home, you will definitely think about the variety ideas about decorating as well as furnishing your bathroom. You should look for the bathroom furniture that is full of enjoyment, vibrancy, functionality and partiality. After researching through a few furniture stores, you will definitely be able to get some of the great and inspirational ideas that will amaze every type of bathroom décor. Whatever may be your décor and what all may be your needs regarding your bathroom décor, you will surely get a satisfactory solution. There are many furniture stores that offer you with every type of furniture right from home furniture, office furniture to bar furniture. One such store that provides you with the desired solution is FurnitureInFashion. It offers solution for different space right from a bathroom to the living room. Bathroom furniture that is available at FurnitureInFashion is sure to increase the splendor of every space, making it appear more inspirational and stylish. Before you head towards any other shop, make sure you go through the variety and style available at FurnitureInFashion. It offers a huge variety that just goes perfect with any type of room setting, making the place appear more pleasant and striking. By looking at the variety, some exciting and creative ideas will click you mind, which you want to implement in your bathroom. Each variety and type of bathroom furniture will make you think of some innovative and inspirational idea that will add to the elegance of your bathroom. You can also try to search for the ones according to your décor, style as well as budget. Apart from matching with your décor and style, the bathroom furniture must increase the magnificence of the space. Right from a bath tub, toilet seat, bathroom bin, bathroom lightening, bathroom mirrors to bathroom cabinets, bathroom vanity and other accessories, every item is sure to definite to increase the elegance of your space. 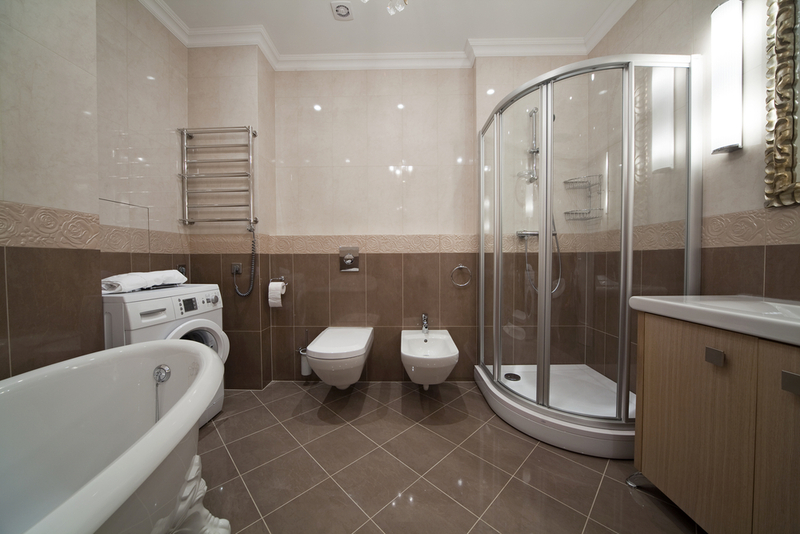 The bathroom speaks a lot about the homeowner’s taste, his lifestyle, living and his standard. So, it should be able to spread an impressive as well as pleasant atmosphere everywhere. Whatever you choose, it must be according to your taste and should also reflect the homeowner’s style, making an outstanding appearance. Many style conscious believe that furnishing and decorating your bathroom is a very enjoyable task. So, put in all your creativity and imagination to find some of the inspirational ideas that will grab every ones attention. Whatever you choose, make sure it gives a fresh and new look to the space, creating a motivating environment all over.